If you're a fan of comfort dressing when it comes to your personal style, you'll love this chic pairing of a grey wool bomber jacket and violet sweatpants. 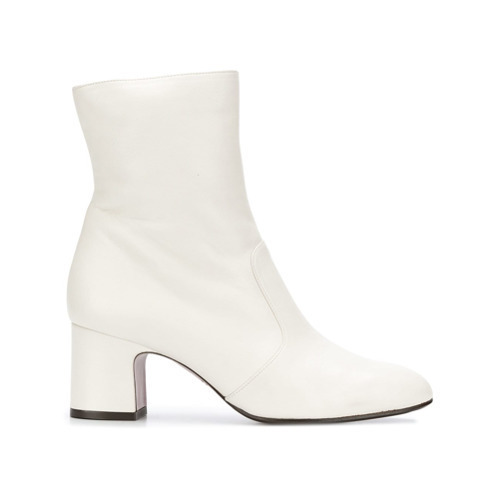 Up the cool of your getup by complementing it with Chie Mihara naylon low heel boots. If you're looking for a casual yet absolutely chic outfit, rock a grey print hoodie with red wide leg pants. Both garments are totally comfy and will look fabulous together. Rock a pair of Chie Mihara naylon low heel boots to kick things up to the next level. If you don't like being too serious with your outfits, team a hot pink coat with black embellished jeans. 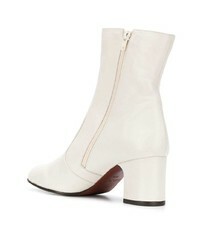 Rocking a pair of Chie Mihara naylon low heel boots from farfetch.com is an easy way to add some flair to your ensemble. Team a black bomber jacket with grey check culottes, if you feel like functionality dressing without looking like a slob. Kick up the cool of your look by wearing Chie Mihara naylon low heel boots. This pairing of a brown plaid blazer and light blue jeans is clean, totally chic and oh-so-easy to recreate! You could perhaps get a little creative when it comes to footwear and lift up your getup with Chie Mihara naylon low heel boots from farfetch.com. 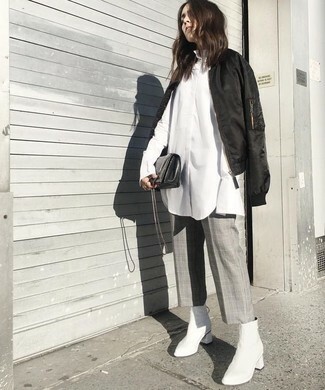 If you're on a mission for a casual yet stylish outfit, consider teaming a white sleeveless turtleneck with tobacco culottes. Both garments are totally comfy and will look fabulous together. Got bored with this look? Enter Chie Mihara naylon low heel boots from farfetch.com to switch things up. 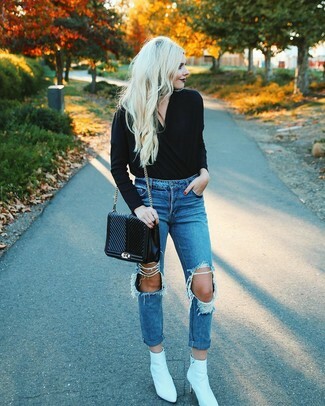 We all seek comfort when it comes to dressing up, and this combination of a black v-neck sweater and blue ripped boyfriend jeans is a good illustration of that. 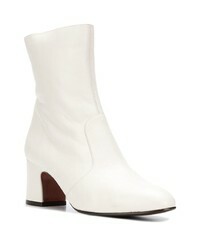 Kick up the cool of your outfit by complementing it with Chie Mihara naylon low heel boots from farfetch.com. 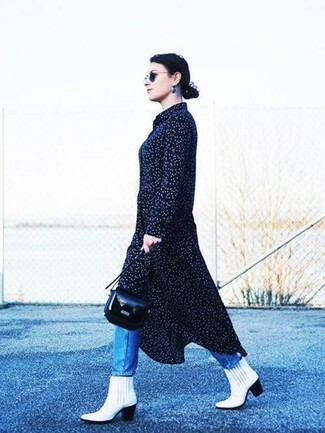 If you're searching for a casual yet absolutely chic getup, try teaming a navy polka dot midi dress with blue jeans. Both pieces are totally comfy and will look fabulous together. 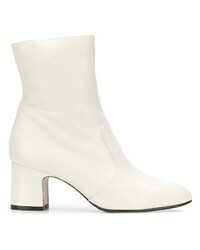 Throw in a pair of Chie Mihara naylon low heel boots from farfetch.com to instantly up the chic factor of any outfit. If you're on the lookout for a casual yet totally chic getup, pair a beige shearling vest with grey jeans. Both pieces are totally comfy and will look fabulous together. Sporting a pair of Chie Mihara naylon low heel boots is an easy way to add some flair to your look.